Three years ago, Ramesh was selling his beautiful stone carved statues and buddhas. 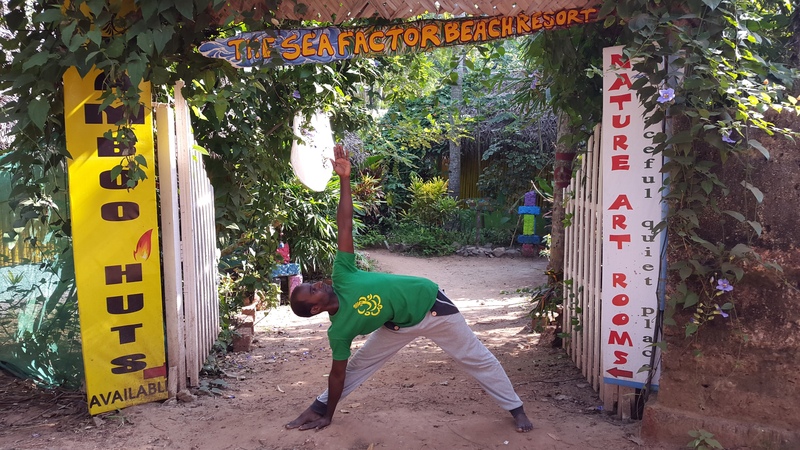 One year later, he was running a yoga school, and this year, besides giving his daily yoga classes, he is earning money with a little resort in a marvelous garden – together with a friend. For me, he symbolizes flexibility, and whatever he does, he does it with conviction, hundred fifty percent engagement and dedication. One of his small bamboo huts was our home base in Varkala. It was simple but comfortable, including some lizards, cockroaches and ants. Next year, Ramesh will expand his green resort. It shall include an Ayurveda treatment center. I am sure, he will keep on going his way, step by step, with the same dedication.